We at Insider Monkey have gone over 700 13F filings that hedge funds and prominent investors are required to file by the SEC The 13F filings show the funds’ and investors’ portfolio positions as of September 30th. In this article, we look at what those funds think of Turning Point Brands, Inc. (NYSE:TPB) based on that data. Turning Point Brands, Inc. (NYSE:TPB) was in 10 hedge funds’ portfolios at the end of the third quarter of 2018. TPB has experienced an increase in hedge fund interest in recent months. 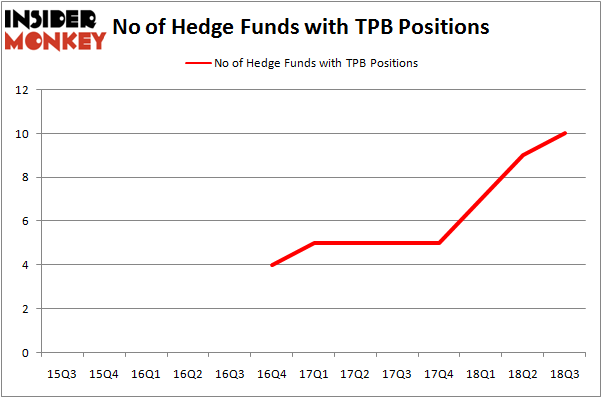 There were 9 hedge funds in our database with TPB holdings at the end of the previous quarter. The company wasn’t one of the 30 most popular stocks among hedge funds in Q3 of 2018. In the 21st century investor’s toolkit there are numerous gauges investors employ to assess publicly traded companies. Two of the less known gauges are hedge fund and insider trading interest. Our researchers have shown that, historically, those who follow the best picks of the best fund managers can outperform the broader indices by a healthy amount (see the details here). Let’s check out the recent hedge fund action regarding Turning Point Brands, Inc. (NYSE:TPB). What have hedge funds been doing with Turning Point Brands, Inc. (NYSE:TPB)? At the end of the third quarter, a total of 10 of the hedge funds tracked by Insider Monkey were bullish on this stock, a change of 11% from one quarter earlier. On the other hand, there were a total of 5 hedge funds with a bullish position in TPB at the beginning of this year. So, let’s check out which hedge funds were among the top holders of the stock and which hedge funds were making big moves. Among these funds, Renaissance Technologies held the most valuable stake in Turning Point Brands, Inc. (NYSE:TPB), which was worth $21.7 million at the end of the third quarter. On the second spot was Sabrepoint Capital which amassed $6.9 million worth of shares. Moreover, Becker Drapkin Management, GLG Partners, and Brigade Capital were also bullish on Turning Point Brands, Inc. (NYSE:TPB), allocating a large percentage of their portfolios to this stock. As aggregate interest increased, specific money managers were breaking ground themselves. Zebra Capital Management, managed by Roger Ibbotson, created the biggest position in Turning Point Brands, Inc. (NYSE:TPB). Zebra Capital Management had $0.2 million invested in the company at the end of the quarter. Let’s also examine hedge fund activity in other stocks similar to Turning Point Brands, Inc. (NYSE:TPB). We will take a look at Angiodynamics Inc (NASDAQ:ANGO), Ituran Location and Control Ltd. (NASDAQ:ITRN), and Overstock.com, Inc. (NASDAQ:OSTK). This group of stocks’ market values are closest to TPB’s market value. As you can see these stocks had an average of 13.6666666666667 hedge funds with bullish positions and the average amount invested in these stocks was $73 million. That figure was $41 million in TPB’s case. Overstock.com, Inc. (NASDAQ:OSTK) is the most popular stock in this table. On the other hand Ituran Location and Control Ltd. (NASDAQ:ITRN) is the least popular one with only 10 bullish hedge fund positions. Compared to these stocks Turning Point Brands, Inc. (NYSE:TPB) is even less popular than ITRN. Considering that hedge funds aren’t fond of this stock in relation to other companies analyzed in this article, it may be a good idea to analyze it in detail and understand why the smart money isn’t behind this stock. This isn’t necessarily bad news. Although it is possible that hedge funds may think the stock is overpriced and view the stock as a short candidate, they may not be very familiar with the bullish thesis. In either case more research is warranted. Do Hedge Funds Love CorePoint Lodging Inc. (NYSE:CPLG)? Is Omnicom Group Inc. (NYSE:OMC) A Good Stock To Buy? 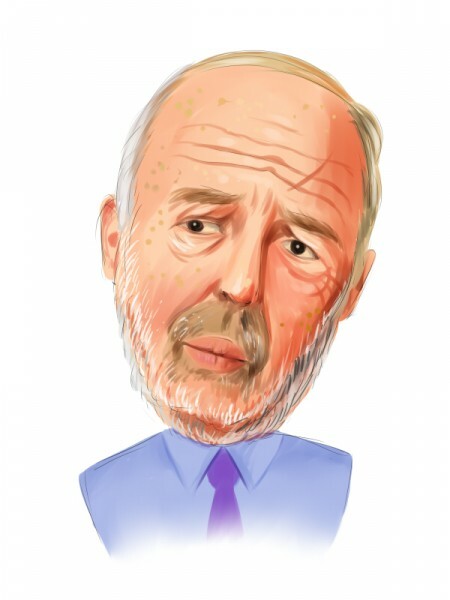 Here is Why You Should Buy Alphabet Inc (GOOGL) Now Here is What Hedge Funds Think About Mastercard Inc (NYSE:MA) Hedge Funds Are Crazy About Weyerhaeuser Company (NYSE:WY) Should You Buy The St. Joe Company (NYSE:JOE)?